Independence Day kicked off with a whimper, at least where the movies were concerned. For the third consecutive weekend, Disney and Pixar's "Finding Dory" is expected to swim to the top of the box office charts. It added $13.4 million to its $343.8 million haul on Friday, and is projected to bring in $43 million over the three days and $52 million over the four day holiday. Not that Dory had much in the way of competition. This July 4th was supposed to host a blockbuster battle between David Yates' "The Legend of Tarzan" and Steven Spielberg's "The BFG," but both films are shaping up to be pop culture pip-squeaks. "The Legend of Tarzan," Warner Bros. and Village Roadshow's costly update on Edgar Rice Burroughs' moldy jungle yarns, is doing better than expected, pulling in $14 million on Friday. It is on pace to rack up more than $34 million over its first three days and may cross $40 million over the four day stretch. Heading into the weekend, the film, which sees Alexander Skarsgård don Tarzan's loincloth in order to battle some nasty colonialists, was expected to rack up $35 million over the holiday. Don't move "The Legend of Tarzan" into the win column just yet. Its $180 million price tag still means that Warner Bros. is looking at a write-down unless foreign audiences turn out in force. Then there's "The BFG," which earned $7 million on Friday and is projected to bring in a disastrous $21 million over the three day weekend and a paltry $25 million over the four day holiday. 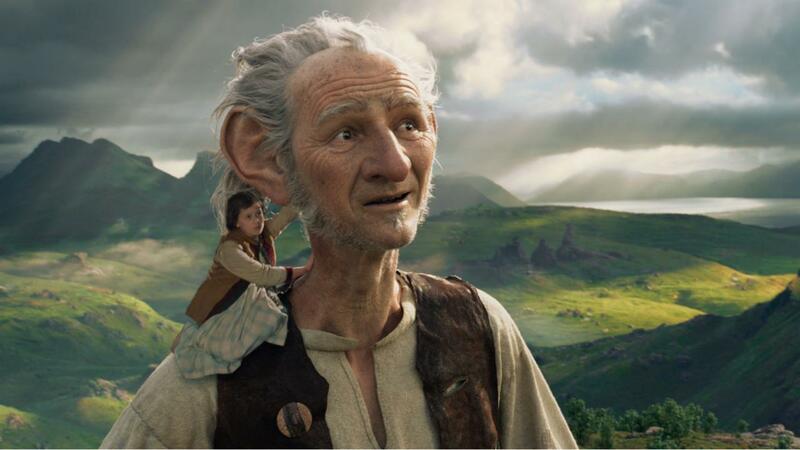 Disney, Walden Media, and Amblin Entertainment backed the $140 million project, betting that pairing Spielberg with Roald Dahl's children's fable about a friendly giant who befriends a lonely girl would reap dividends. But Spielberg isn't the draw he once was, particularly with younger audiences. Although he made a name for himself with crowd pleasers such as "E.T. the Extra-Terrestrial" and "Jaws," he's spent the better part of the last decade churning out historical dramas like "Lincoln" and "Bridge of Spies" that appeal to older crowds. Critics liked "The BFG," but the strong reviews won't save the film from being one of the biggest flops of Spielberg's career and of the summer. The failure of "The Legend of Tarzan" and "The BFG" provided a clear runway for Universal's "The Purge: Election Year." The third film in the horror franchise follows a presidential candidate (Elizabeth Mitchell) who is campaigning to end Purge night, an annual evening of legally-sanctioned lawlessness. James DeMonaco, who directed the other two Purge films, returns, along with Frank Grill, who starred in the previous installment, "The Purge: Anarchy." The film is another micro-budget success for Blumhouse, costing a mere $10 million to produce. After leading the Friday box office with $14.5 million, it could end the weekend with a healthy $33 million in receipts and $37 million over the four day holiday. That's something to celebrate.